Jingle bells are starting to ring and it’s starting to feel more like the holidays outside. And that only means one thing. It’s time to start decorating! If you want to have some extra curbside appeal this year, then check out the fun tutorials we’ve found below! 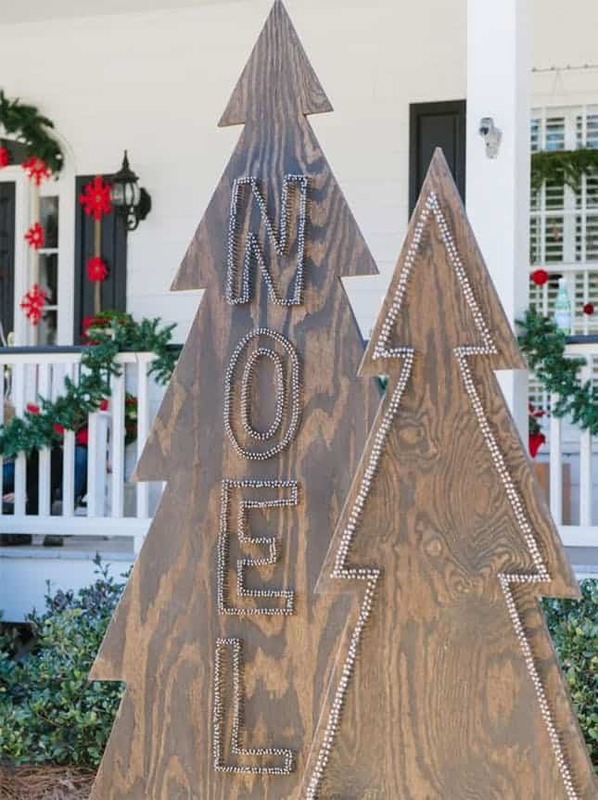 These 15 DIY outdoor Christmas decor ideas are perfect for celebrating the season! Fines Designs starts us off with this extra-large “JOY” sign that would be so great to welcome your guests and family with every day at the front door. Pair it with some greenery, a pair of vintage ice skates, and any other thing that strikes your fancy and can make your porch area a bit more festive. Take the leap now and check out how to create one for yourself at home! A Beautiful Mess may have this piece displayed inside but you can easily don it outside. Whip up a couple for a pair for larger porches or just go with one to test your DIY skills with. We love the addition of those jingle bells as well, don’t you?! 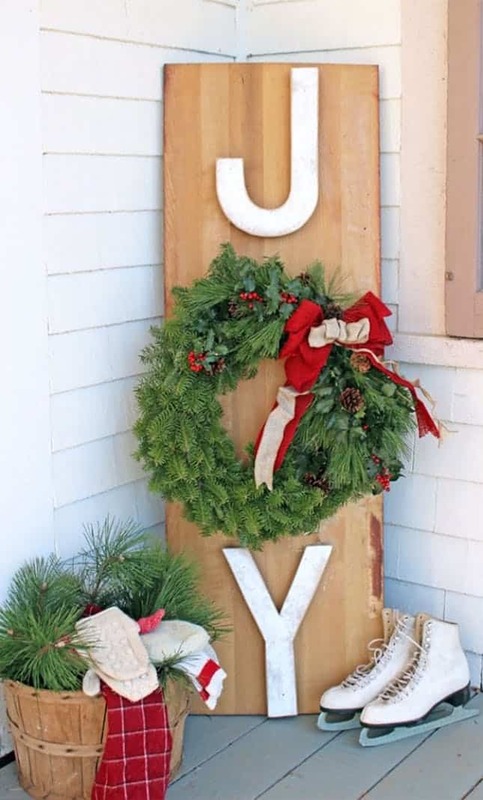 Pallets are always fun to craft with, especially throughout the holidays. 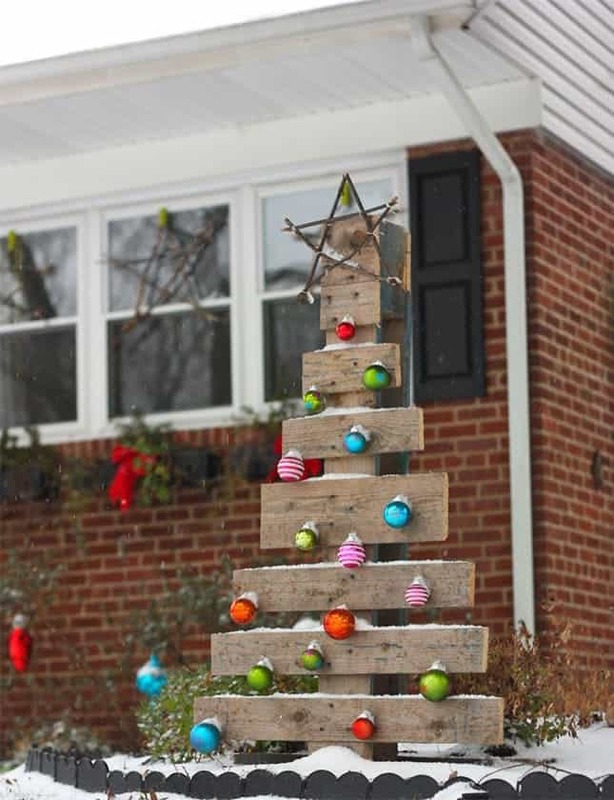 Just take a look at this fun pallet Christmas tree from Buzzkills! Have the kiddos help decorate it with some random or homemade ornaments too. You can always add some color as well, a little green spray paint certainly wouldn’t hurt. 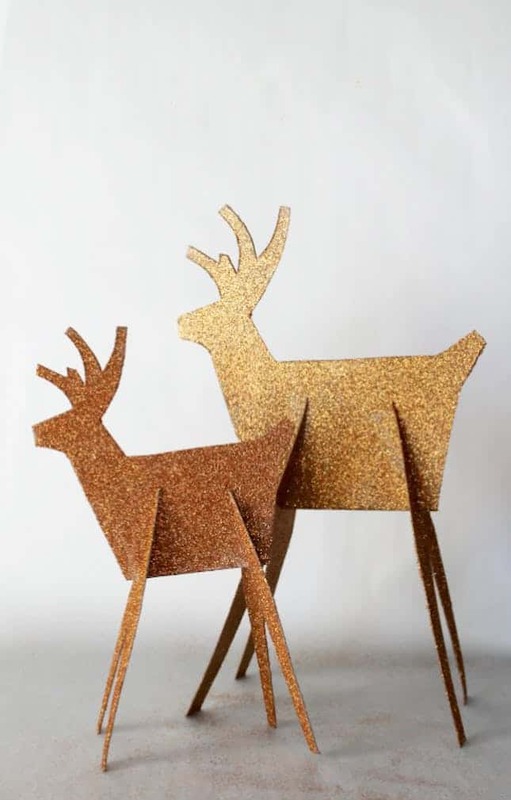 We’re absolutely swooning for these glittering reindeers from One Krueger Chick. How beautiful would these be sprinkling out on your front lawn these season? You could even install some spotlight on them so they glow even more throughout the night. 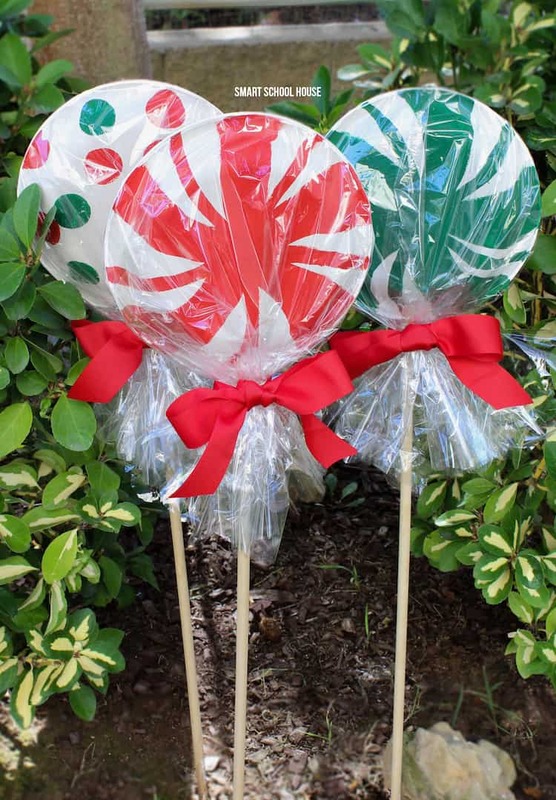 If you’re looking for some ideas involving more kid-friendly and colorful decorations, check out these giant lollipops from Smart School House. Made with paper plates, they’re super easy to recreate and you can get the little ones involved in their making. Then, dress up your front yard with them! 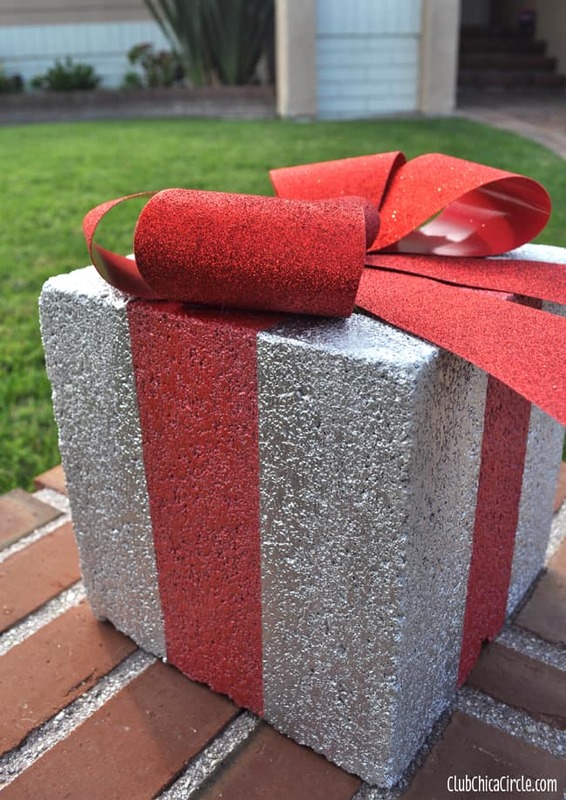 Who knew that you could create a beautiful, shimmering Christmas gift our of a concrete block? Check out Club Chica Circle for all of these easy details behind its making. A few of these on the front patio could be a wonderful and festive addition. 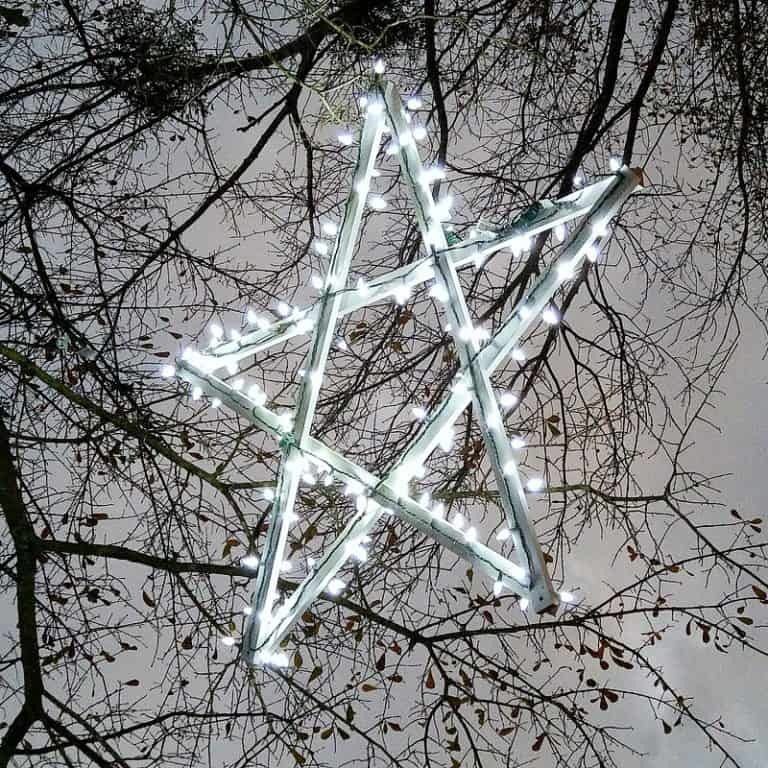 Wooden stars are incredibly easy to whip up in the garage as well, and they look beautiful outside the house too. Check out Duke Manor Farm for the directions and inspiration behind this particular design. We love the addition of the Christmas lights as well for extra sparkle throughout the night. HGTV has these wooden cutout trees on their site including their nailhead designs. We love this farmhouse feel but also how grand these will look outside the home. Of course, you can add some color if you feel extra festive. We’re loving the innovation behind this upcycled project too! 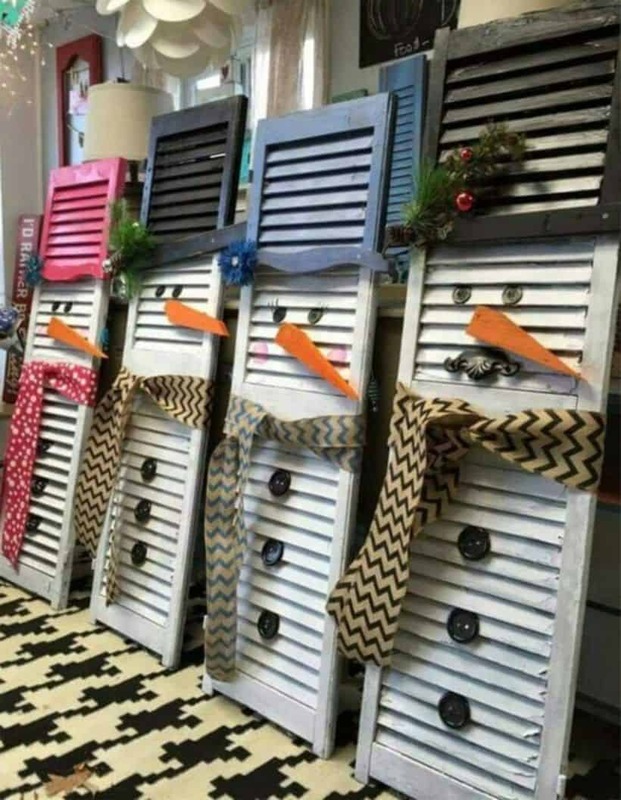 Over at Pretty My Party you’ll find some inspiration behind taking old shutters and turning them into snowmen. This will be so much fun to personalize and have a bit of fun with throughout the design process. 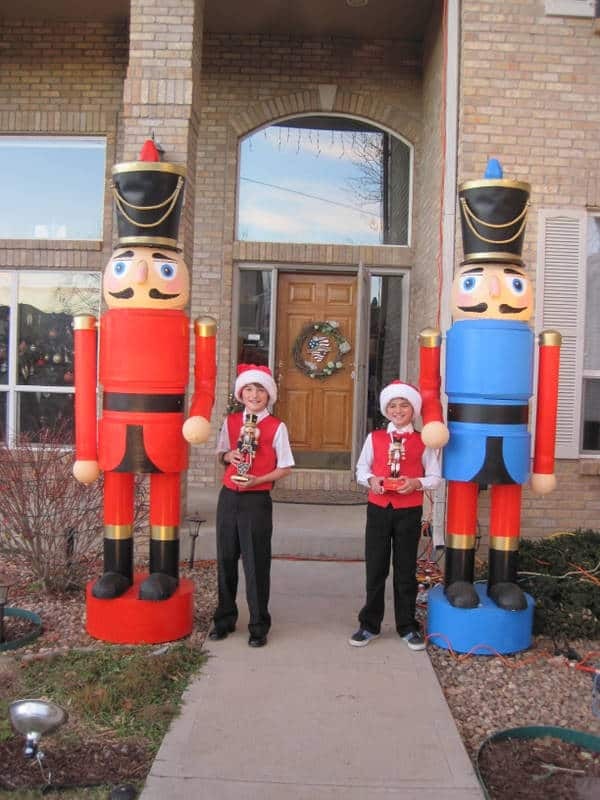 Who wouldn’t want a pair of 9-foot nutcrackers out in their front yard for the season? Meagan will give you a step-by-step tutorial on how to make that happen. 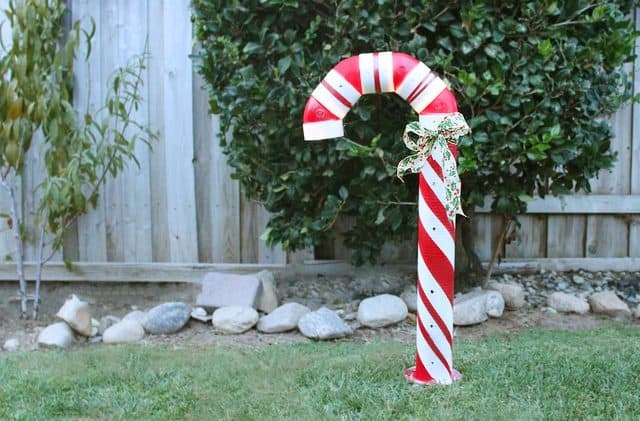 The family will love these and your curbside appeal for the holidays will definitely be taken up a notch. Here’s another fun way to light the walkway to your home. These glowing candy canes can easily be whipped upon a afternoon. All you have to do is jump on over to eHow and add this to the Christmas decorations this year! Smart School House also had some giant Christmas ornaments up their sleeve. 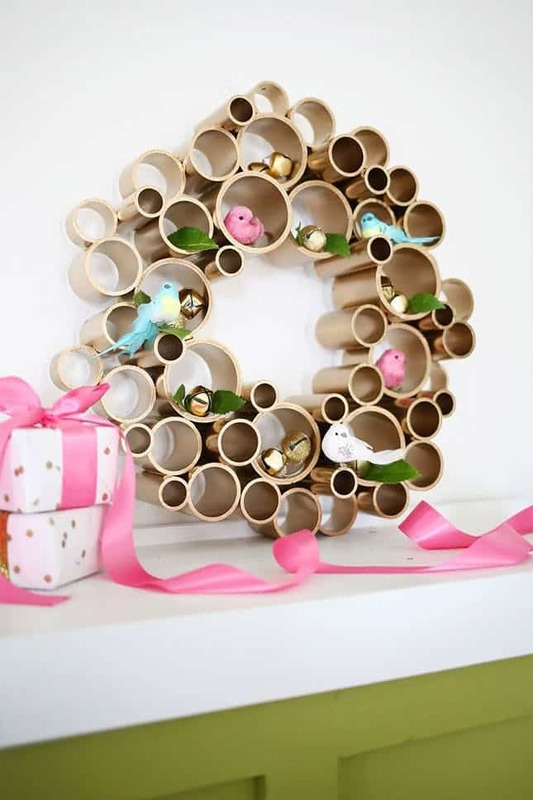 Follow along and try your hand at making these for your house too. They’ll definitely add a certain amount of fun and youthfulness to the home. 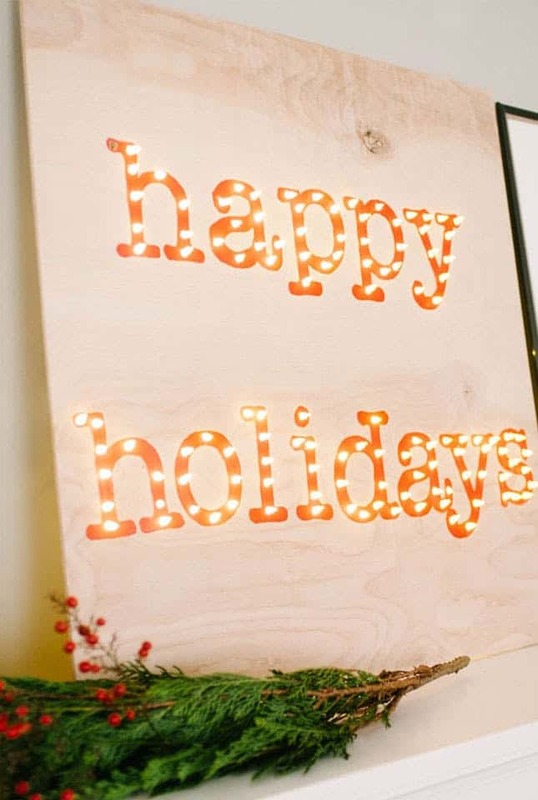 We’re swooning for this marquee sign and we’d love to see these out on the front porch. You can really jazz up a sitting area and the like with its charm. Grab all of the details over at Idle Hands Awake. 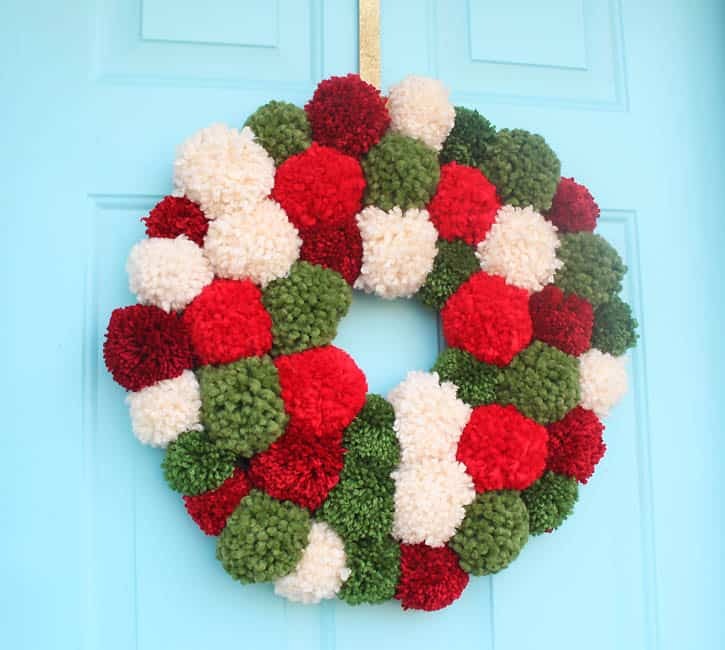 Gina Michele created this fun pom pom wreath and we instantly fell in love with it too! It’s easy to make but it’s also family-friendly and will warmly welcome all guests coming through the front door. 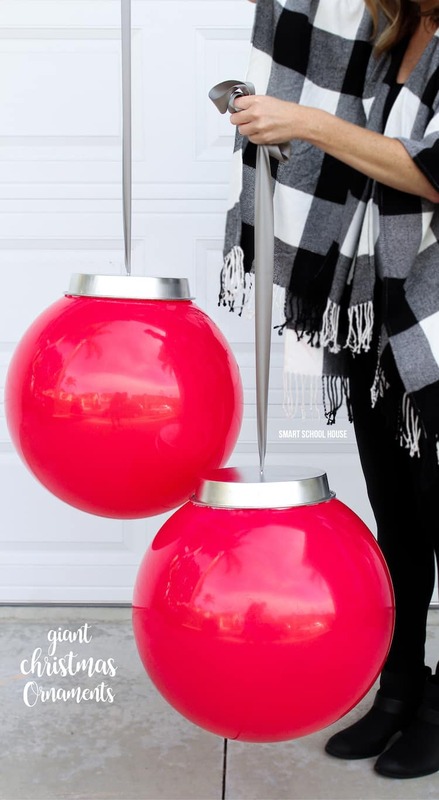 Just grab some extra-large pom pom in winter or holiday colors and get started! The Yvestown Blog also gave us some great ideas for the front porch area as well. 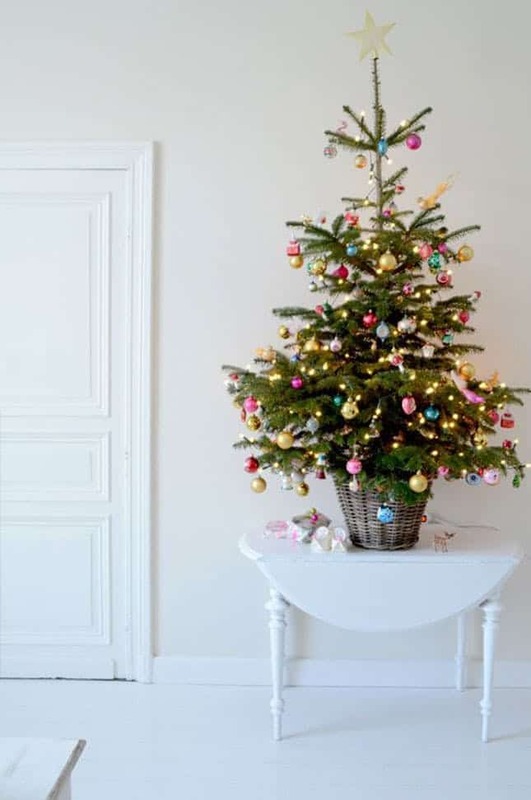 Potted Christmas trees can add a festive, feminine touch to the front door. Just make sure you dress them up with some mini ornaments.